Realistic portrait drawings : In order to create a two dimensional or three dimensional picture, artists use graphite as an instrument for various kinds of portrait drawings, landscape drawings and many more. When you have a look at these portrait drawings you will be wondering if it’s a photograph or a drawing that you are looking. The artists have provided every detail and colour to make it a realistic portrait drawing. To make a beautiful portrait drawing, it’s important to get the shape of the face and eyes right, else you will be looking at a monster or an alien staring back at you from your sketch book. Make sure the proportions for the face is right, if you are using a photograph for reference, draw circles on the photos and repeat them back on your sketch book and make sure the measurements are just about right. Artists generally use circles and triangles to draw a face. We are obsessed with quality and love to empower artists. 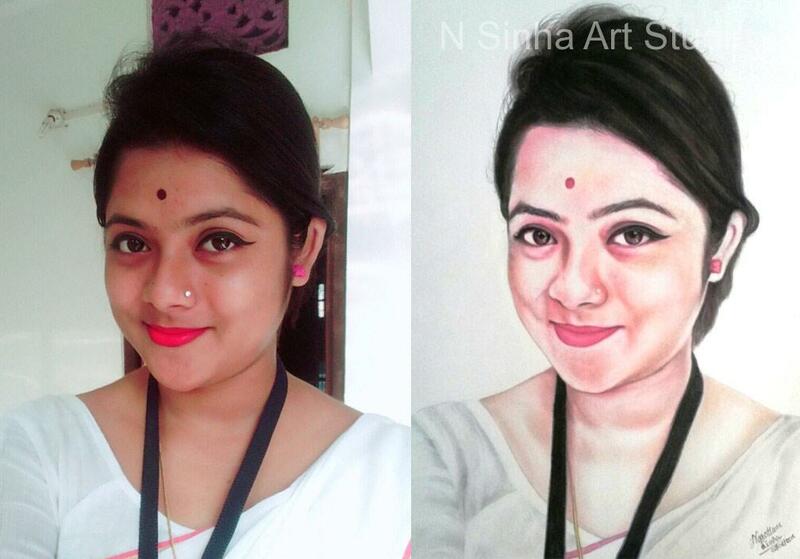 Our founder & original artist, N Sinha Art Studio, hand selects only the best artists and personally oversees each drawing. No technology, no outsourcing – our portraits take on average 10 to 30 hours for real artists across the country to draw entirely by hand. Your portrait helps local artists make a living by creating art. Sinha Portraits is not just a product, it’s a service. From selecting the perfect photograph to working with our artists to make sure your artwork is perfect, we help you with every step of the process. If you know what size you want, you’re ready to order. Simply select the size that works with your budget and we’ll help you select a photo after you have placed your order.